As you create smoothies, you should think about the nutritional value of them. Not every smoothie you create will be the best for your nutritious lifestyle. 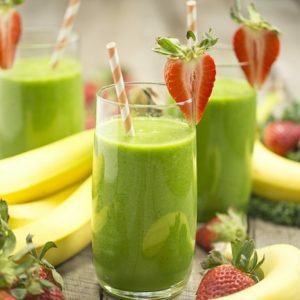 Today you will read about the core ingredients that are health and nutritious smoothie should have. These core ingredients are easy to find and they are so great for you too. Make sure when you are looking up smoothie recipes, you have these ingredients. You can mix and match them to make a very nutritious smoothie recipe. One of the main ingredients you will always be using in your smoothies is yogurt. Yogurt has a ton of calcium, protein and probiotics in it. You should always choose Greek yogurt or low-fat yogurt for the best nutritional value. Since Greek yogurt is the lowest in carbs, that would be the leading choice. If you want to add more protein into your smoothie just add in another ¼ of a cup of Greek yogurt into the mix. Another main ingredient you will always be using in your smoothies is milk. This is another excellent source of quality protein, nutrients and calcium. You should choose skim milk if you can tolerate it. If you can’t for some reason or another you can use rice, soy or almond milk. Whey protein is another ingredient you can add into your smoothie recipes. This is an excellent way to boost the total protein in the smoothie. This ingredient will also make the smoothie fill you up as well. If you want a lower calorie smoothie, make sure you are adding whey protein. You may think that you should not have any fat in your smoothie. However, there are some healthier fats that you should be using in your smoothie. The healthier fats, when added to your smoothie, can help you to fill your stomach too. You need to fat to properly absorb all the nutrients of the other ingredients. Some of the healthier fats you can choose to add into your smoothie are avocados, coconut oil, peanut butter and flaxseeds. Bananas are a great ingredient to add into any smoothie. These have a ton of Vitamin B, potassium and more nutrients as well. They are sweet and bring more taste to your smoothie. If you want to bring a rich and healthy consistency to your smoothie you will love bananas. You should also add berries into your smoothie. These are filled with antioxidants and they are very nutritious for you. The phytochemicals and Vitamin C in berries will help you to create a healthier smoothie that tastes amazing as well. 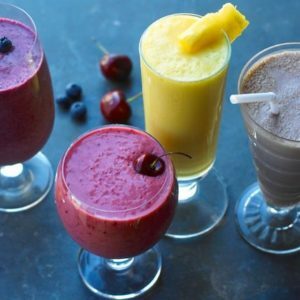 Now that you have a list of some of the best ingredients to add into a nutritious smoothie, you can go get the ingredients and plan out your smoothie recipes today! Previous ArticleDid You Know a Date Could Get Your Lady in the Mood? Next ArticleAre You Busy in College? You Can Still Stick to a Workout Plan!